I have an addiction to whole grains. It might sound harmless — healthy even — this gnawing urge to buy a new type of grain whenever I am in the bulk section replenishing my stores of lentils or polenta. But it can be ugly, my pantry bursting with half-filled jars, no room for a box of cereal even. And it can be embarrassing, once the thrill of the purchase has faded and I don’t end up actually using the grain for weeks or even months. I don’t want to end up on Hoarders: Beans & Grains. Promise you’ll tell me before it’s too late. You’ll know when I start renting a storage space to hold my excess bags of wheat berries and pearled barley. 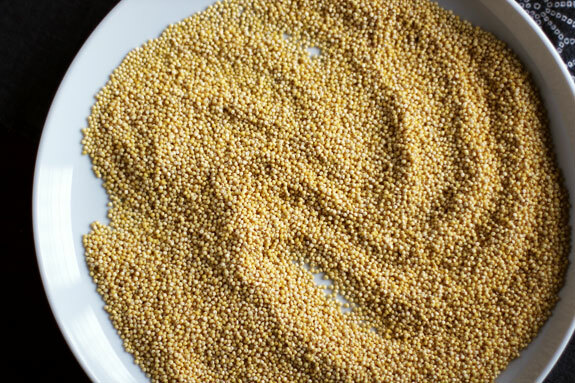 I bought a giant sack of millet after visiting China, because I often saw the little yellow grain cooked into the congee being ladled out in steaming bowlfuls by street vendors. I’m always looking to jazz up my rice porridge, and I had never cooked with millet before. But before I could make my own giant pot of congee, millet showed up at work, in a granola brought in by my co-worker Shanti, who keeps us all happily supplied with homemade granola and vegetable soups. This granola was different from the usual: super-crunchy and seedy. Not seedy like a dive bar, seedy like a Trio bar. 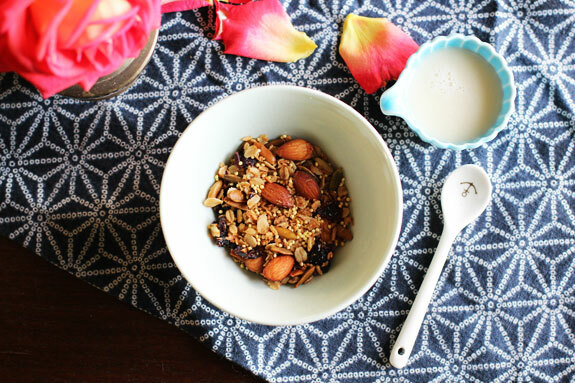 If you’re like me and hate soggy cereals, you’ll love this granola; it stays crunchy forever. 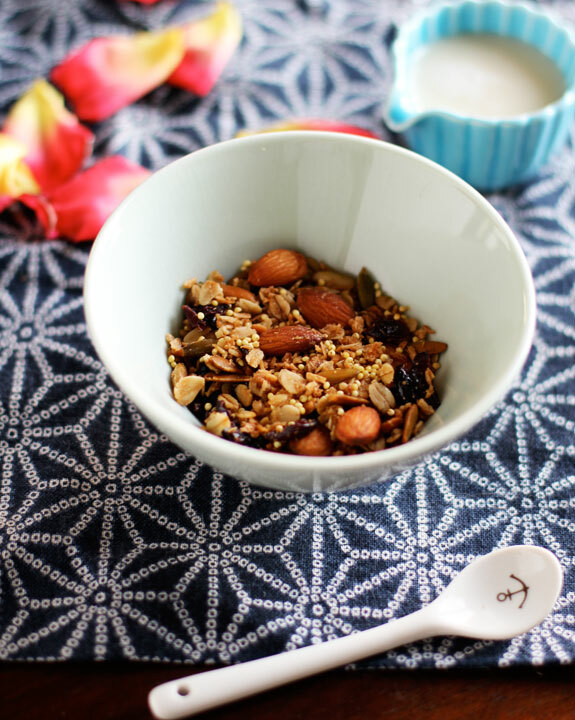 To recreate Shanti’s seedy granola, I tweaked my current favorite recipe, Melissa Clark’s Double Coconut Granola. Because millet doesn’t need as much fat and sugar as oats to crisp up, this version has the added bonus of using less coconut oil and sweetener, so it’s not quite as much like eating an oatmeal cookie for breakfast. My big jar of millet is nearly gone. Who knows what lucky whole grain will come home with me next? Preheat the oven to 300°F. Pour the millet onto a plate and sift through it to make sure there are no pebbles or other debris. In a large bowl, mix all the ingredients except the cranberries. Spread evenly onto a rimmed baking sheet and bake for 40-45 minutes or until deeply golden, stirring every 10 minutes. Mix in the cranberries and let cool before storing in an airtight container. 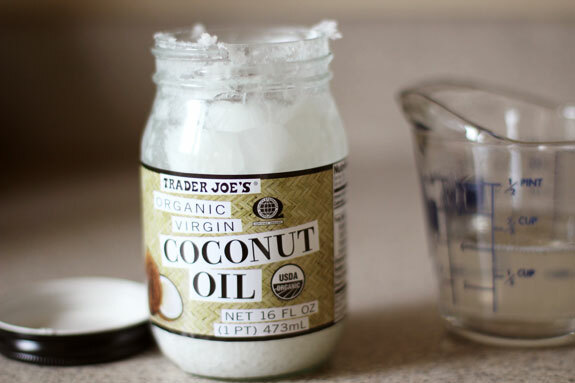 • If you don't have virgin coconut oil, you can substitute olive oil for a pleasantly savory flavor, or grapeseed oil for a more neutral taste. • Feel free to use whatever combination of dried fruit and nuts you like. Dried cherries, chopped dried apricots, pecans and pistachios are other personal favorites. I couldn’t help but smile while reading the intro to this recipe – I share your love of whole grains and buying patterns! My weakness is wholegrain flour and I dread to think how many different types are in my pantry. I’m going to give this a go – looks wonderful. Thank you! I’d like to make this sans oats. 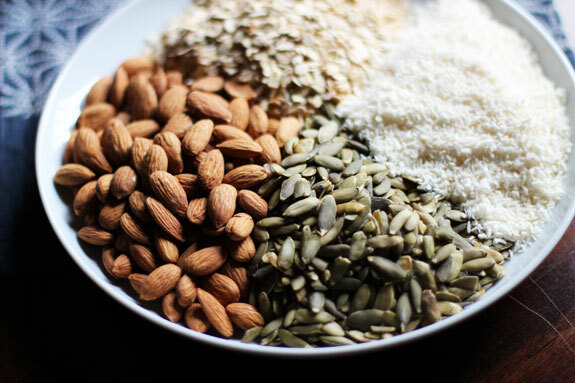 How would you amend the recipe if without using wheat, oats, barley, or rye? Thanks! Thank you so much for this recipe! Just made it last night and it’s the most delicious granola I’ve ever had. Love the nuttiness and crunchiness of the millet and even with the limited amount of coconut oil and maple syrup it has just enough sweetness. I could eat this every day! Hi! 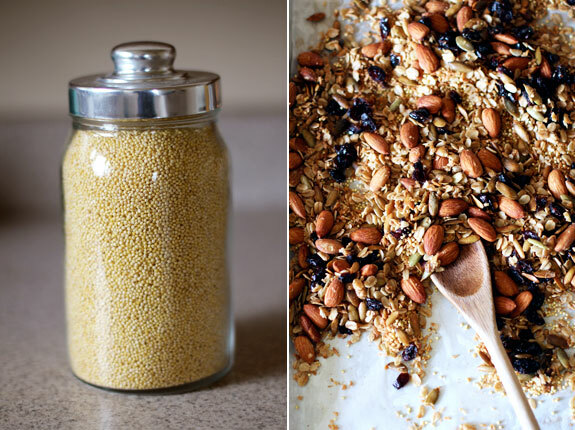 Just wondering – do you cook the millet/soak the millet at all before making the granola?